The games of the chance have always been existing in the world of gambling. Thus, the origin of one of the most profitable and popular gambling - slots is known very well. 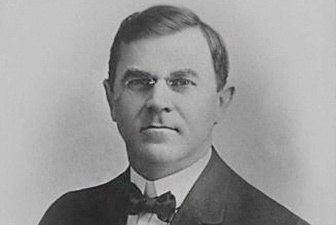 The father of the modern slots is considered to be inventor Charles Fey. Discover the pre-Fey model of slots! Find out more on the history of slots in articles dedicated to the very first machines and how the game has evolved. Charles Fey is considered to be born in Germany. Unfortunately the concrete birth place of the future inventor remains unknown, though it happened on the second of February in 1862. It is also known that the family was large and Charles happened to be the youngest one of the 16th children. Their family was poor, that is why he started working hard, when he was only 14 years old. He helped his brother Edmund. However, very soon, at the age of 15 Charles had to leave his motherland because his father. He went to France, where he had a try at making instruments. Charles was 23, when he got to the USA. In fact, he managed to save enough money to travel the way his uncle did. Charles' uncle moved to the USA, to New Jersey. Fey traveled all around the USA and decided to settle in San Francisco. Here he started his career at Electric Works Company. Later on he was wealthy enough to start his own firm in tandem with Theodore Holtz. Together with his partner, Charles worked with telephone and electrical equipment. 1895 was a year of slots invention. At that very time Charles Fey represented his own brainchild called Liberty Bell. It is significant to know that the popularity of the slot machine was so astounding that allowed the inventor to open the factory of slots manufacturing in 1896. The first slots were designed and manufactured by Fey himself. They were soon placed into the local gambling establishments on the basis of the 50 rent percent. Hence, in addition to being the first inventor, Charles Fey was recognizable as the first proprietor of the slots. It is also important to know that the first slot mechanism was not so very much uglier or cruder that the modern slots. It contained the slot machine reels similar to modern, pictures, etc. In fact, the first machine was called Liberty Bell that became the real national symbol of culture, as well as capitalistic era. Thus, San Francisco became the motherland of the modern most famous gambling - slots. Learn how to play slots and be sure to take all your money away from any online or land casino.